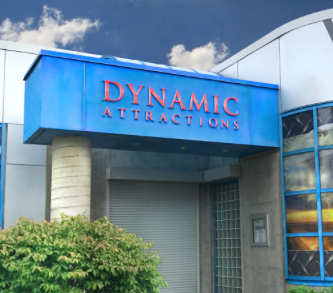 Canadian company Dynamic Attractions has a new executive team, headed by president and chief operating officer Hao Wang, a 21-year veteran of the theme parks rides business. Wang held increasingly responsible executive leadership positions at Multimatic, a global, high-performance automobile design, engineering and manufacturing company headquartered in Ontario. For the past five years, Wang was vice president of Asia Pacific, where he led the creation of Multimatic’s production operations in China and presence in South Korea, India and the ASEAN region. He will officially join the company immediately after the transition from Multimatic. He is joined at Dynamic by Dr Ye Zhou as chief technical officer, Dynamic Attractions, and president of Dynamic Structures. Zhou will provide his considerable technical expertise to the management and mitigation of technical risk related to the complex ride systems that Dynamic Attractions designs and builds. He has held the position of president of Dynamic Structures since 2014 and will continue with this executive role in addition to being chief technical officer of Dynamic Attractions. Paul Poirier is named as senior vice president, strategic accounts and service, a promotion from vice president of operations, the executive role he has been employed at for the past 18 months. Brian Peebles meanwhile has been promoted to senior vice president, co-ventures for Empire Industries. In this role, he will lead the company’s new initiative to have an ownership stake in some of the proprietary attractions the company produces. George Walker has been promoted to senior vice president, Creative Services, where he will lead all the creative, value added contributions of converting ride systems into attractions for clients, with a particular focus on turning the company’s co-venture ride systems into world class attractions.